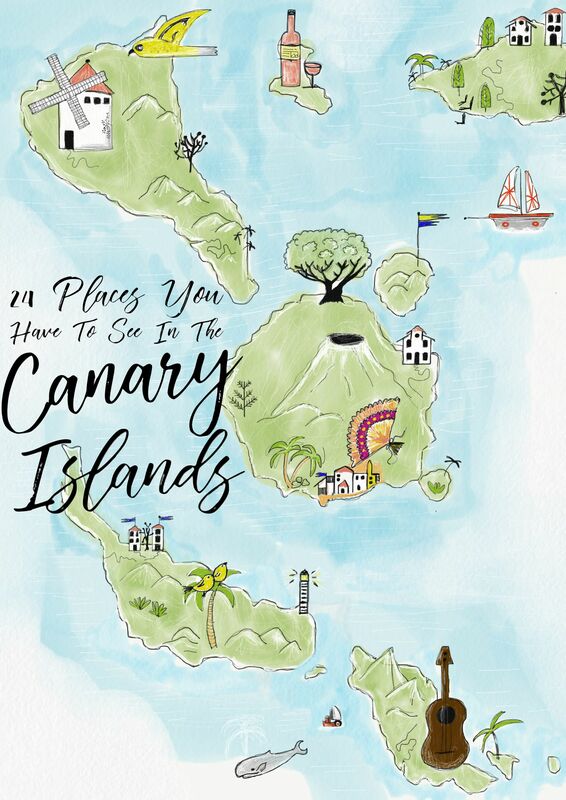 The Canary Islands have always been a firm favourite to visit. 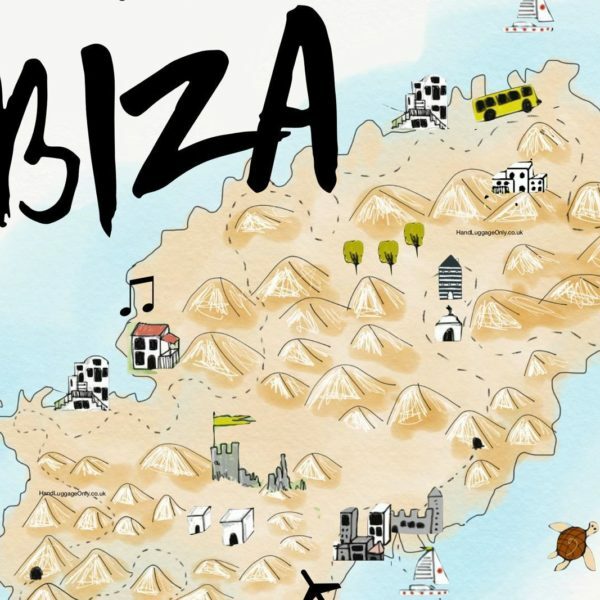 Perched off the coast of north-west Africa, these Spanish islands are just too beautiful to miss. 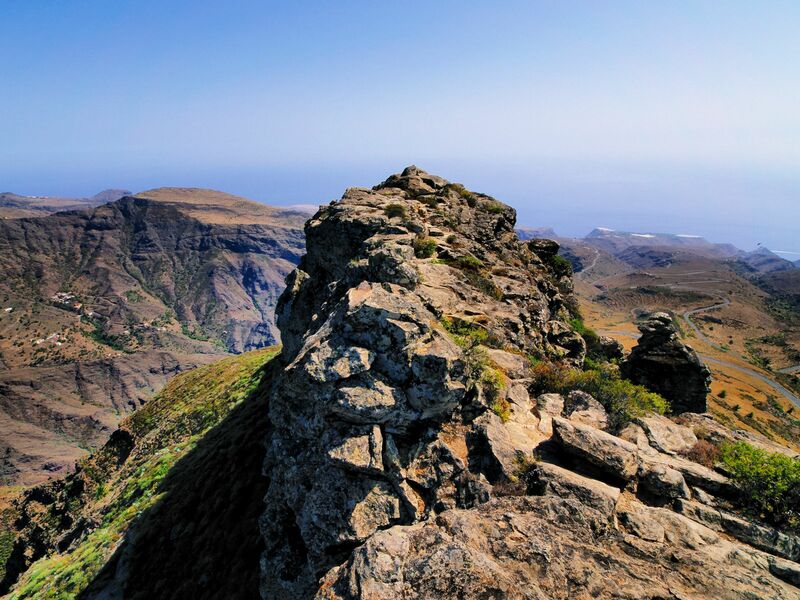 One of the most striking natural landscapes in the Canary Islands, Roque Agando is one place you shouldn’t miss on La Gomera. Make sure to hike early in the morning and stay along prescribed routes. You won’t be able to get to the top (as it’s forbidden) but the view is actually much better up close. 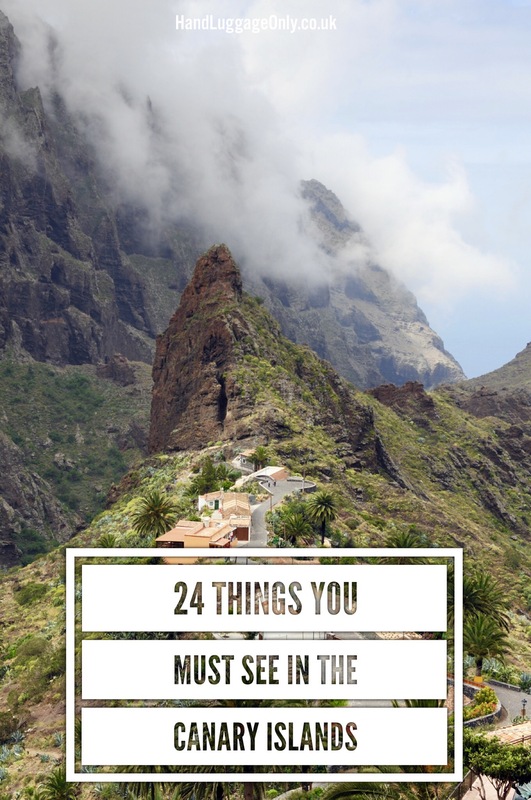 It’s an incredible natural site to see and one that held great significance to the original Berber Inhabitants of the Canary Islands, who had built a whole range of shrines and sacrificial points in the mountains. 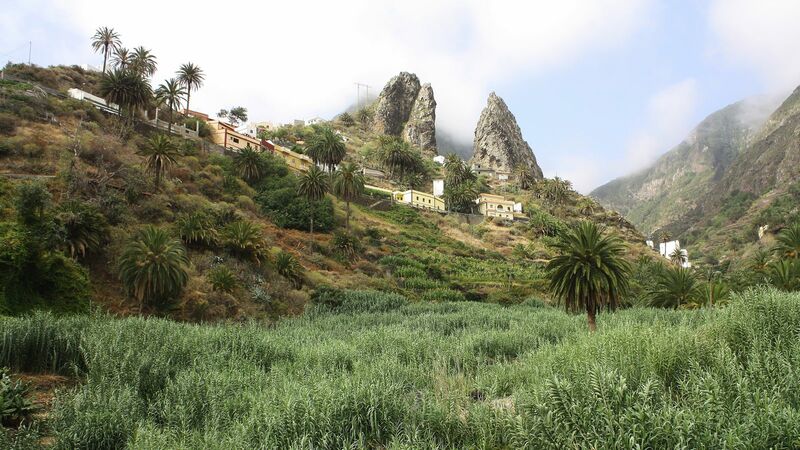 Hermigua is a gorgeous area of La Gomera! 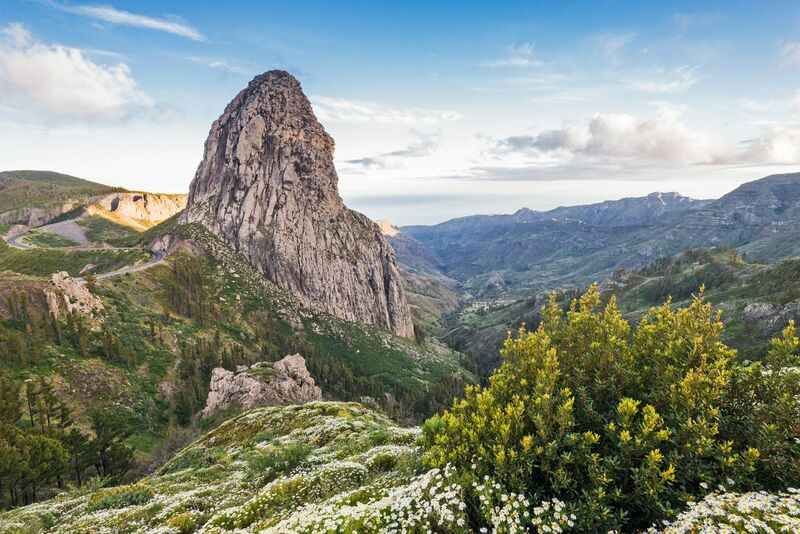 Think gorgeous green ravines, little villages and the imposing twin rocks Roques de San Pedro – a gorgeous natural site that’s well worth seeing. 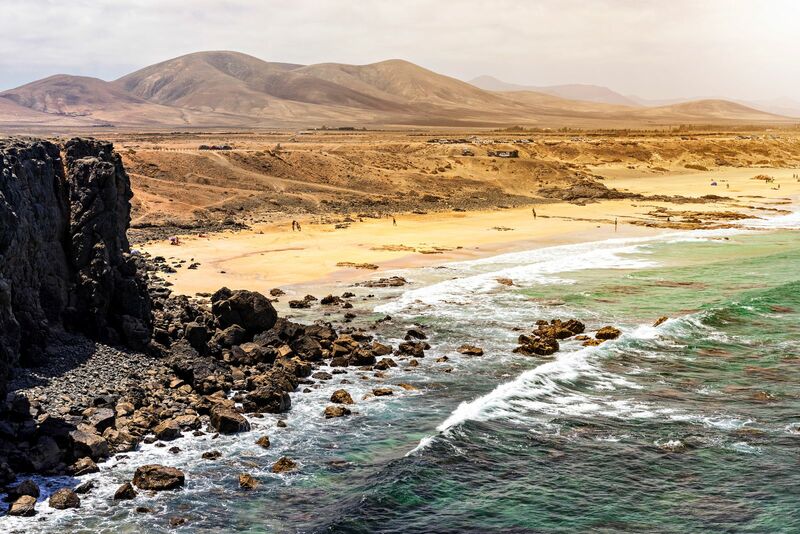 After a day in the countryside, head over to Hermigua beach for a paddle in the cool seas. Just be careful as tides can be strong here – listen to local advice and only swim when it’s safe to do so. 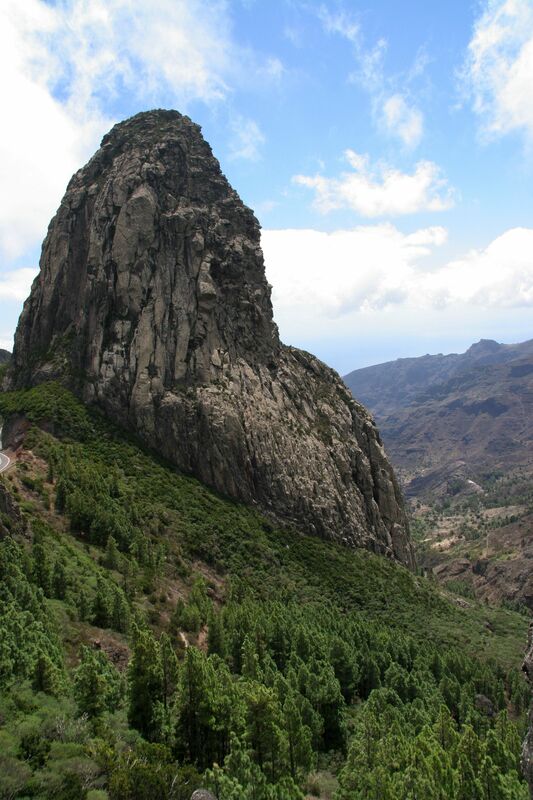 Perched almost in the centre of La Gomera, this dramatic scene is easily viewed if your driving… so there’s no need for lots of hiking gear or an Olympian spirit to get there. Head on road TF-713 from the Capital San Sebastian. The whole drive is incredible and the best way to see the canyons, mountain ranges and an almost untouched landscape. From the capital city of San Sebastian, you can actually join some epic sailing tours of the gorgeous island and the beautiful waters. 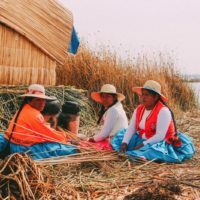 Head over to places like Canary Sail or Oceano Whale Watching that depart on the other side of the island at Valle Gran Rey. 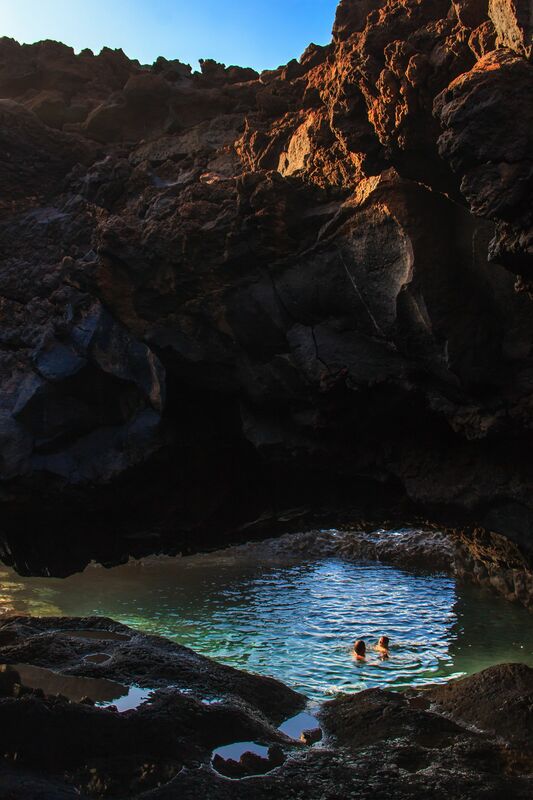 Perched on one of the lesser-known Canary Islands (El Hierro), the stunning bathing pools of Charco Azul are a pretty unique place to experience here. 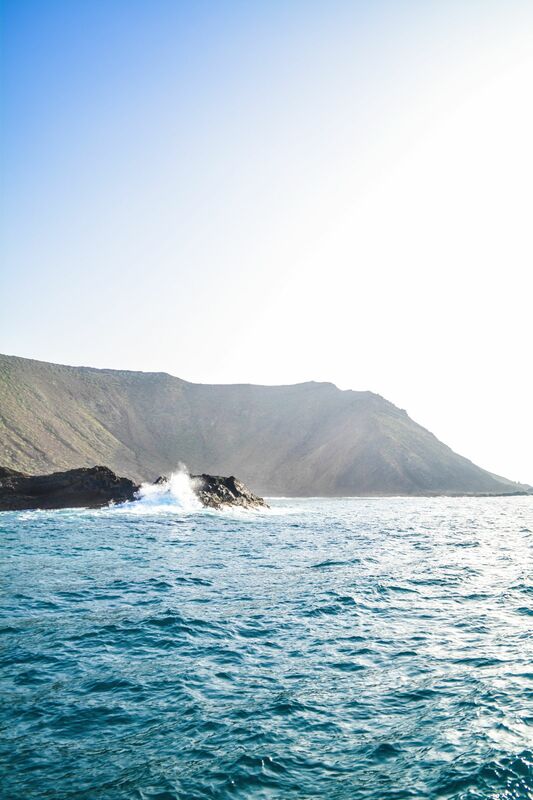 Located in the valley of El Golfo, this gorgeous volcanic creation and turquoise waters are the BEST place to spend a few hours relaxing the day away. Bliss. 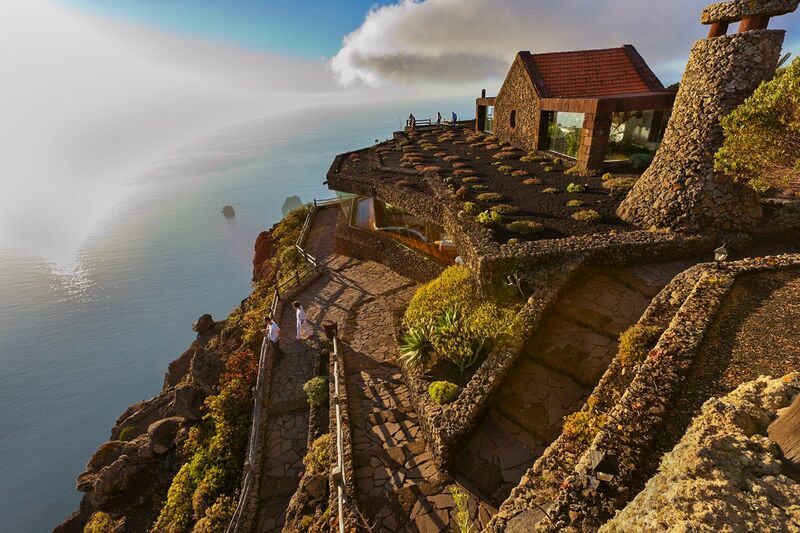 Towered over by the volcanic mountains of El Hierro, this intimate little chapel is a beautiful sight against the dark, coarse volcanic rock that surrounds it! A special little chapel that’s perched in some awesome natural surroundings. Probably one of the best viewpoints on the island. 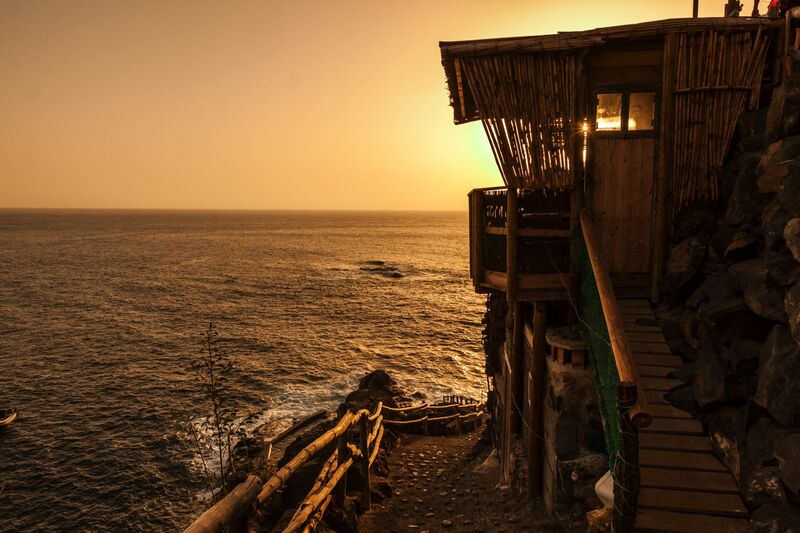 Head over to Mirador De La Peña around sunset and see this gorgeous island swap day for night. The food menu is pretty reasonably priced and tasty (although, don’t expect Michelin Star style meals). 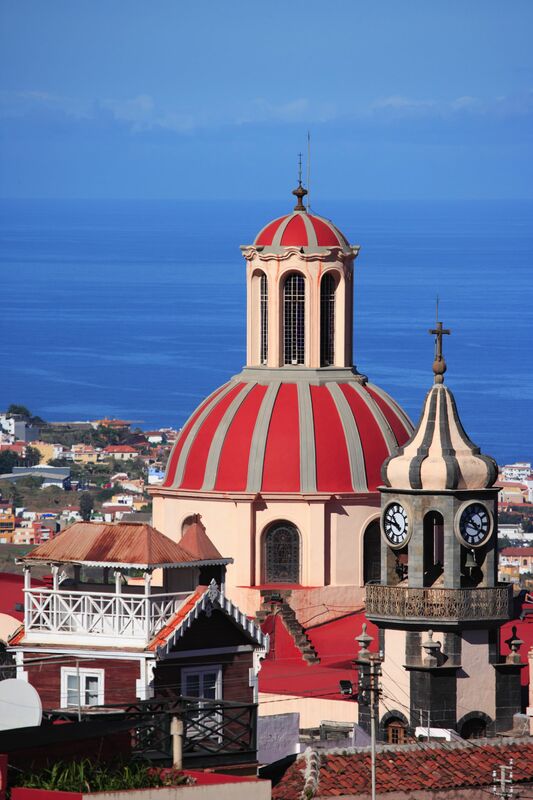 Located in the historic town of Arucas, The Church of San Juan Bautista is one of the island’s most iconic Catholic Temples (or Cathedrals). Arucas is home to a whole array of gorgeous little restaurants too, like Gourie 3, who serve the town’s best desserts. 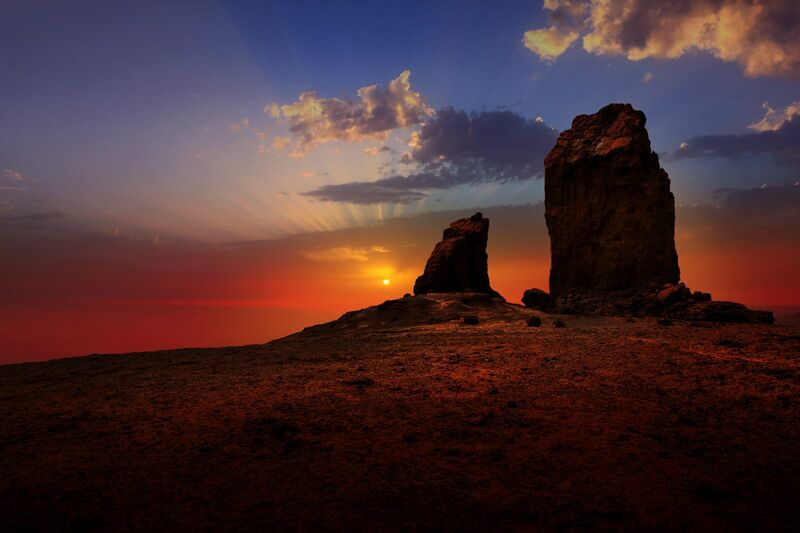 Translated to Cloud Rock, this dramatic natural formation sits in the centre of the island. 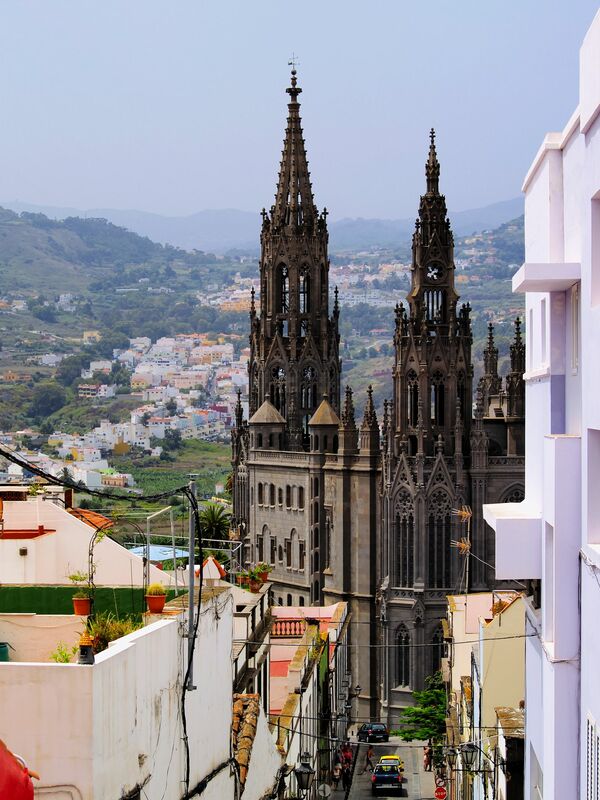 Roughly 80 metres tall, this impressive icon of the island is well worth a visit. Just make sure you take a guide (or are an experienced hiker) if you plan to make it to the very top! 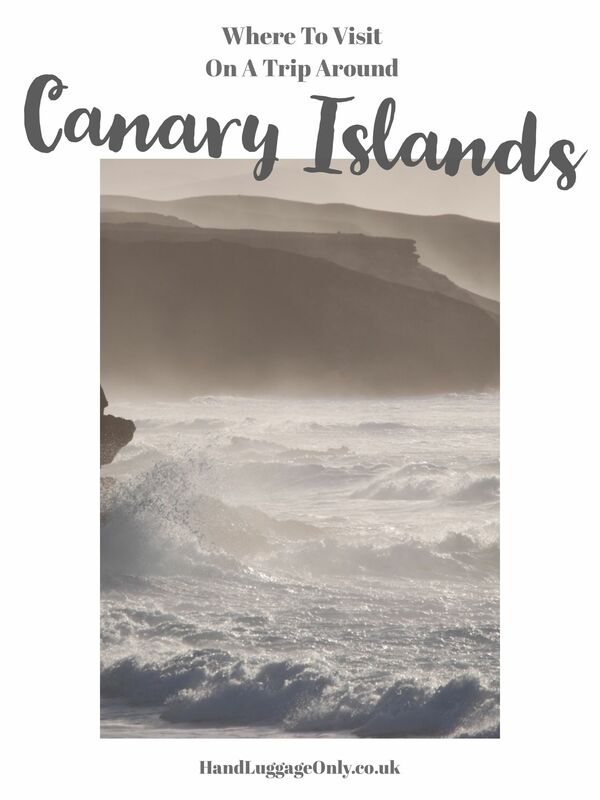 In the north-west of the island, El Cotillo beach and the surrounding landscape is a great place to go if you want to enjoy one of those well-earned beach days. Enjoy the sandy beach or take your board and ride some of the regions waves. 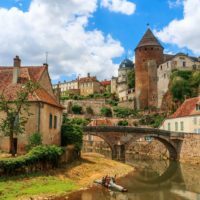 It’s a gorgeous place that I loved visiting! 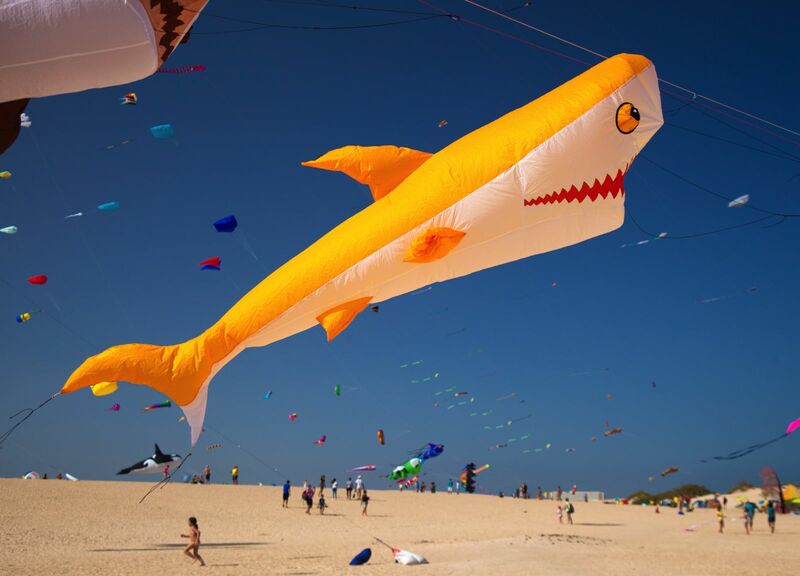 Okay, this has to be one of the coolest kite festivals in Europe! 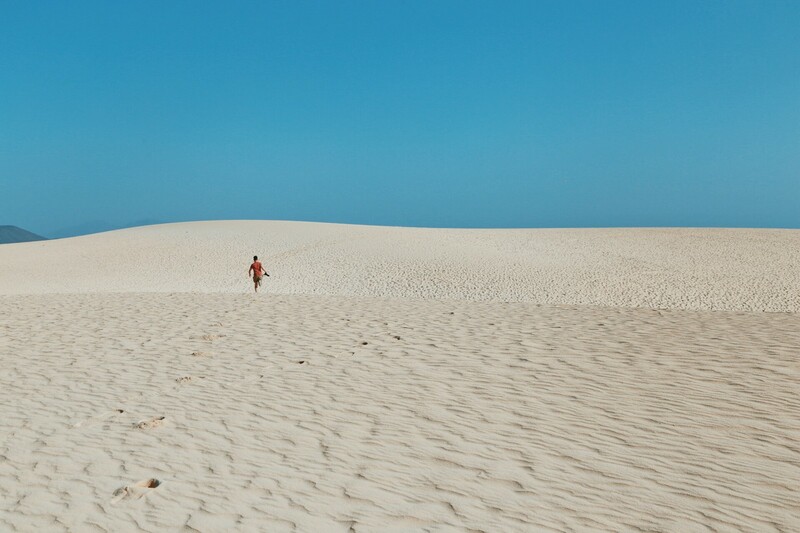 Each year, the Fuerteventura sand dunes are filled with literally hundreds of kites that take to the sky. You can see more about the Dunes, in our post, here. 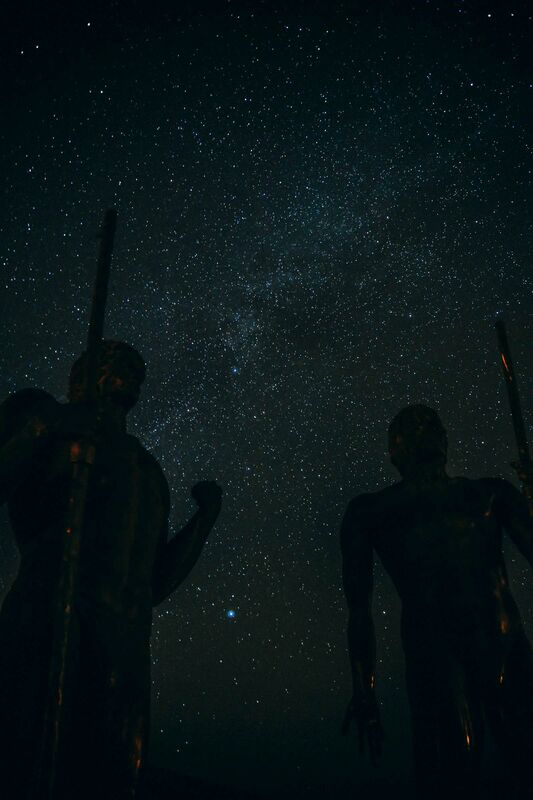 The Morro Velosa Statues are two kings that overlook the gorgeous mountains of Fuerteventura. We headed here around 11 pm in the evening and stayed until 1 am counting loads of shooting stars and capturing the Milky Way high above. It was truly beautiful. 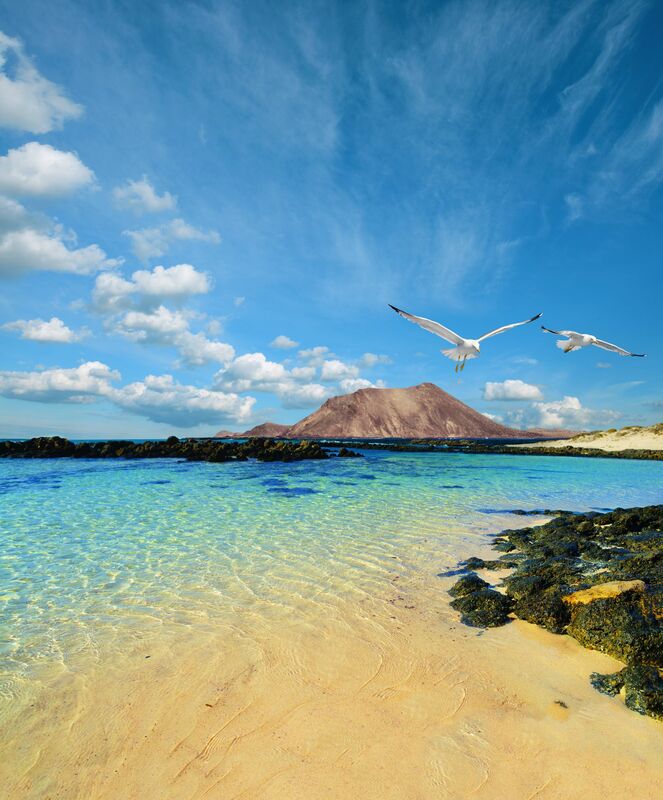 Lobos Island is around 20 minutes from Fuerteventura. We travelled by catamaran, where we had lunch on the boat, dived into the gorgeous sea and had a few hours to discover this gorgeous island. 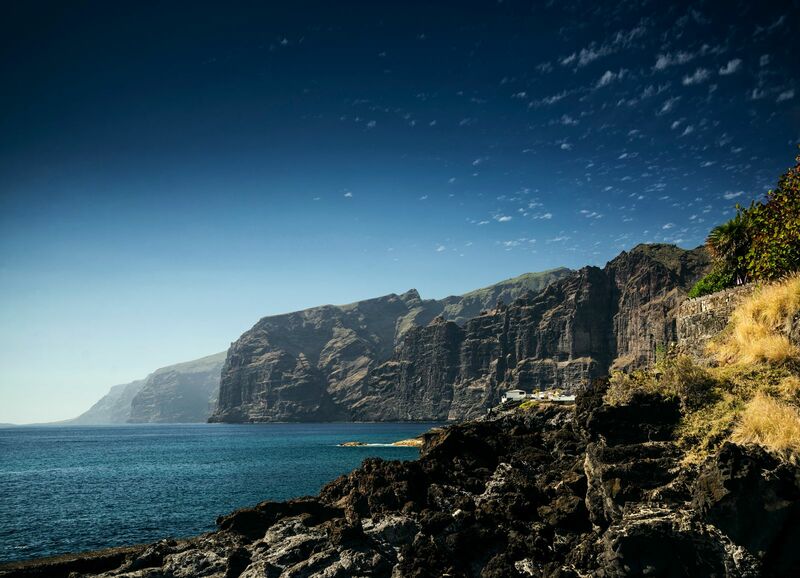 The clue is in the name, right… these are som Gigantic cliffs! 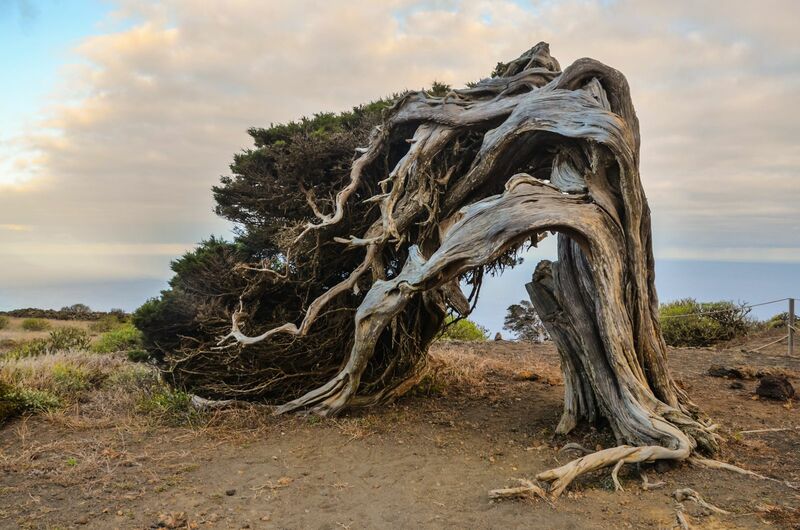 On the west coast of Tenerife, they are easy to spot… in fact, they are hard to miss! 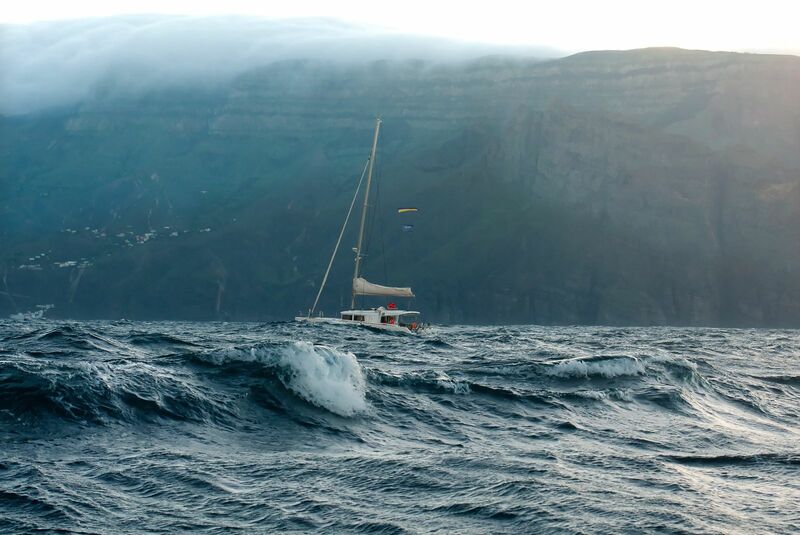 The cliffs are probably one of the island’s most popular sites to see so expect other travellers. Head across around sunset for some epic views. 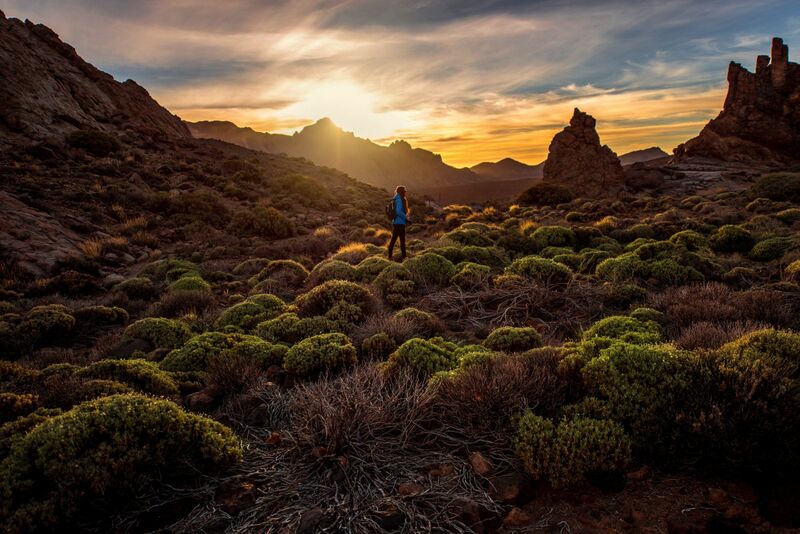 One of the biggest National Parks in the Canary Islands, Teide National Park is a must-visit for all us travellers heading to the Canary Islands. 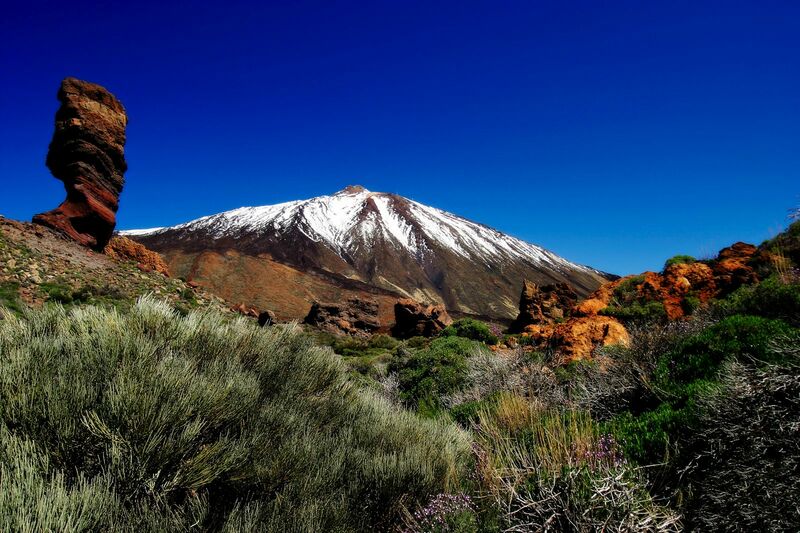 Make sure to visit Teide Volcano which is covered in snow during certain times of the year. Around the park, you’ll see lava flows, vents, huge craters and shed loads of petrified lava. It’s a geologist’s dream. 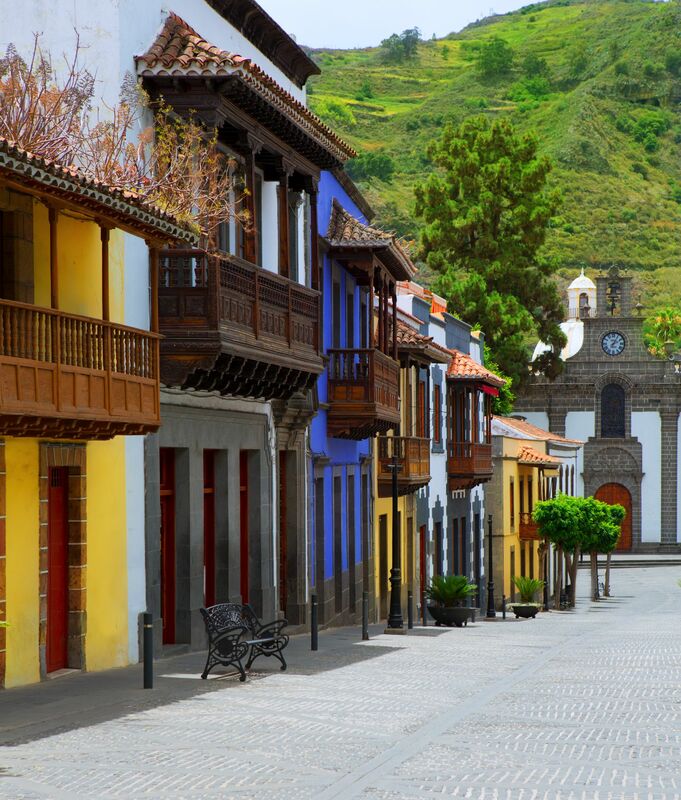 Perched in the north of the Tenerife Island, La Orotava is a pretty large town by Canary Island standards. 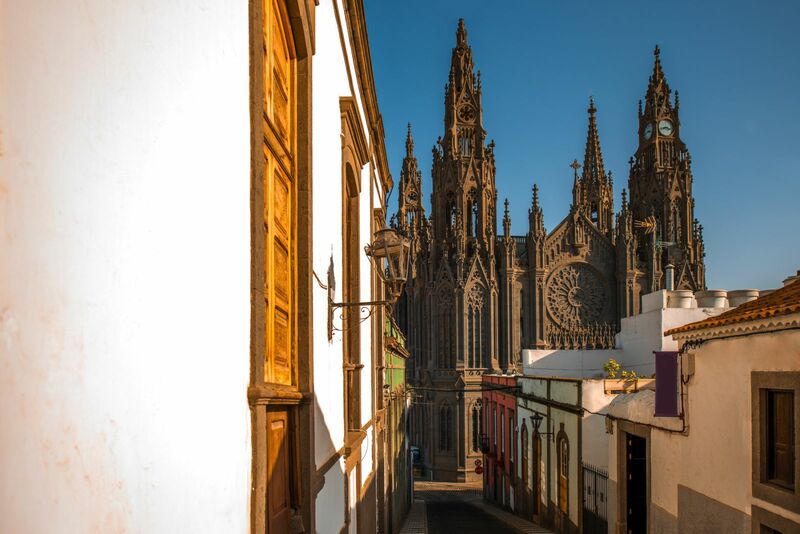 Make sure to visit Plaza de San Francisco, head inside Iglesia de La Concepción and see the gorgeous El Ayuntamiento building that sits pretty in the town centre. 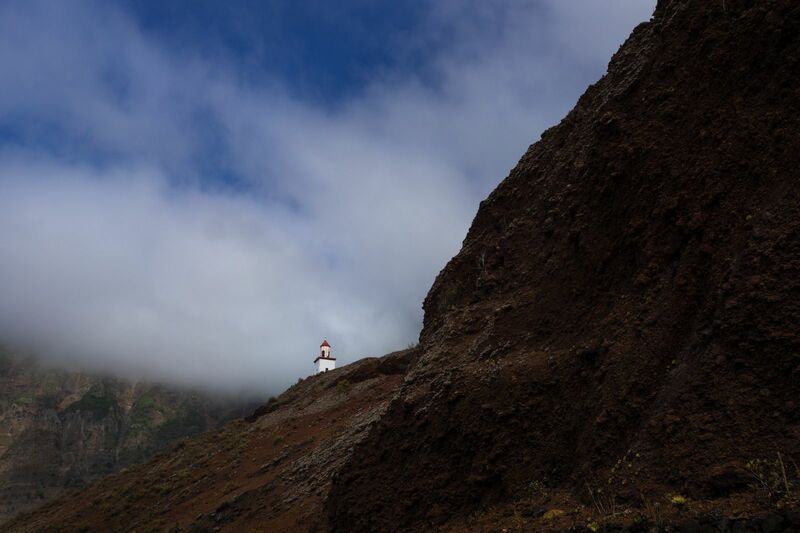 It’s hard to avoid the gorgeous rocky seafront of La Palma, which is especially pretty around sunset. Find yourself a vantage point, enjoy the lapping waves and watch the sunset across the rippling ocean – it really is a stunning island for a sunset. 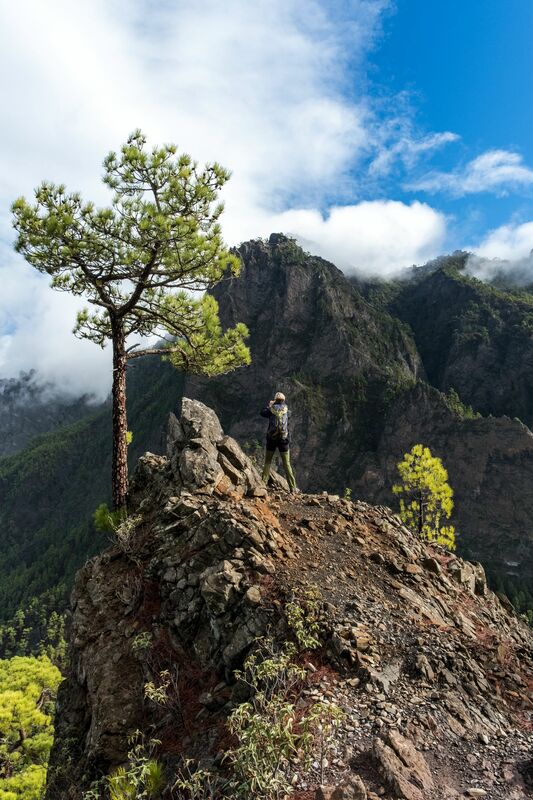 One of the best places to experience Taburiente National Park, La Cumbrecita Viewpoint is the perched relatively high in the mountains of La Palma. Pack your comfy shoes, grab some water and head up for some impressive views. If you’re lucky, you might even see the ‘sea of clouds’ that drives its way into the valley below. It’s magnificent. Santa Cruz is one of the island’s largest cities and situated right on top of a historic lava flow that devoured the region. Make sure to visit Church of Santo Domingo, The neighbourhood of San Telmo and gorge on some of the cities amazing (and fresh) seafood. If you’re looking for a little rest and recuperation, head of to gorgeous Papagayo Beach which is pretty unique for the island. 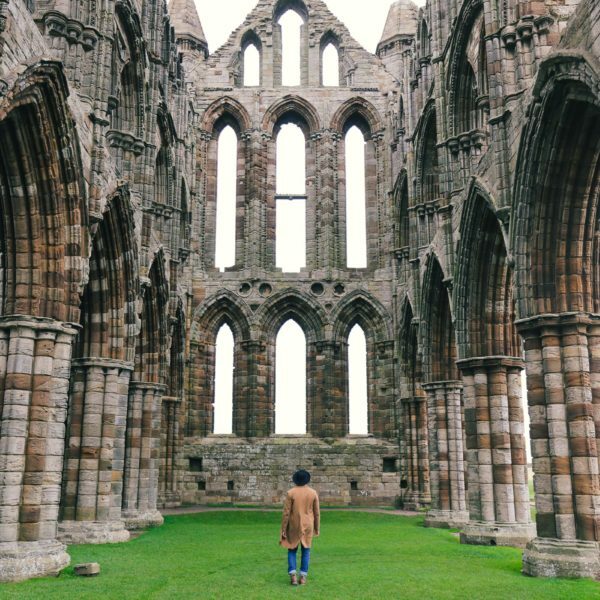 Make sure to visit early in the morning when the sun is less strong and the crowds much less. 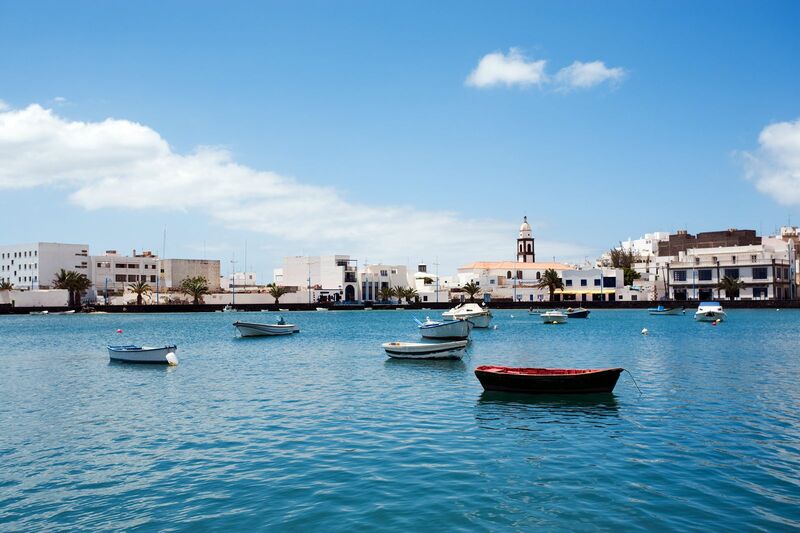 The city of Arrecife is one of Lanzarote’s larger hubs to explore. 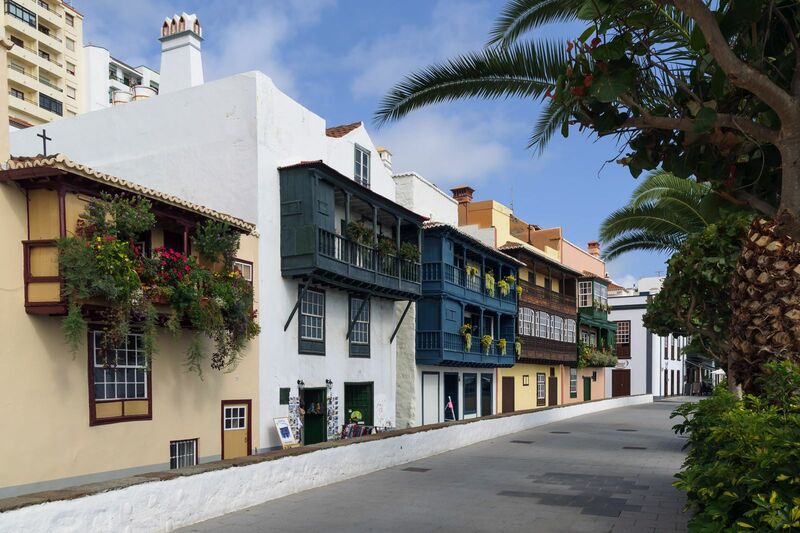 Make sure you visit the Castle of San José, visit the Yellow House and take a dip in Playa de las Cucharas (if all that city exploring has worked up a sweat). Whilst on the coast front itself, take a walk over the Bridge of Las Bolas, too. 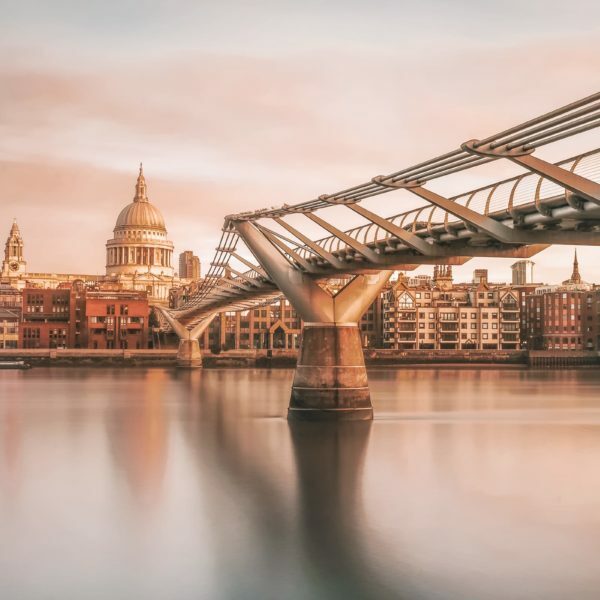 The city is filled with a whole heap of historic sites. 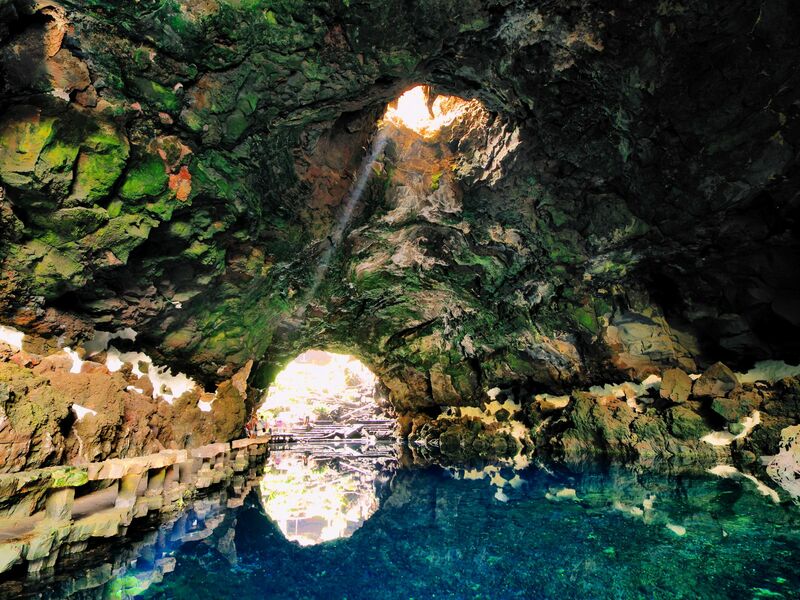 Jameros Del Agua, is part of a historic lava formation that stretches over 6km in this region. Nowadays, Jameros Del Agua has opened up some of the underground caves for us visitors to explore. Expect to see the albino crabs that call this cave system home – it’s a gorgeous place to explore. It can get pretty busy (time-dependent) so plan around non-peak times for the best experience.